It is Halloween! And what other comic can you better read during this spooky holiday than 1952’s “Trick or Treat”. 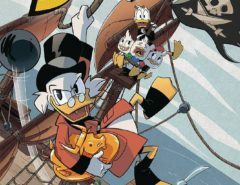 This story was first published in Donald Duck #26 which appeared in November 1952. 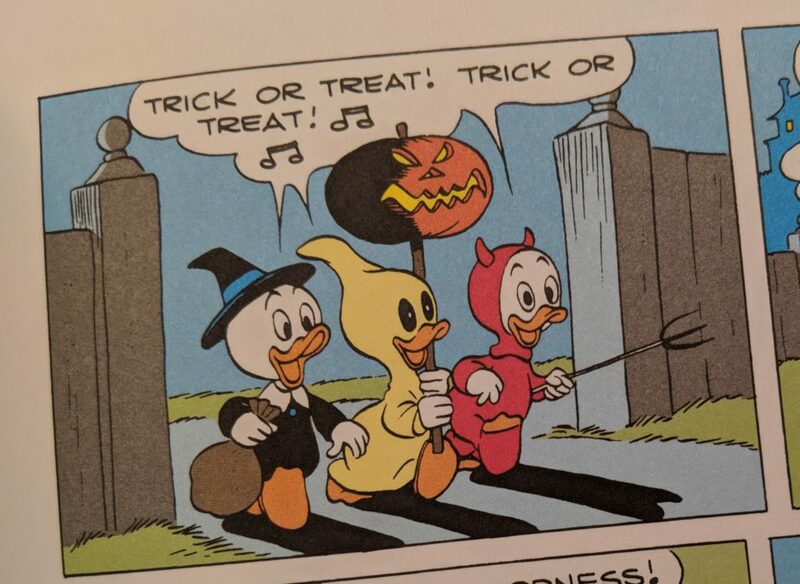 As I don’t have that issue, I had to settle with Fantagraphics Volume: Donald Duck “Trick or Treat” by Carl Barks which in my opinion is a perfect substitute. Halloween – The night when witches fly! Look! There goes one now! 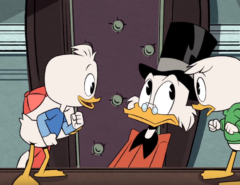 Huey, Dewey and Louie are out “Trick or Treat”-ing when they ring Donald’s doorbell. 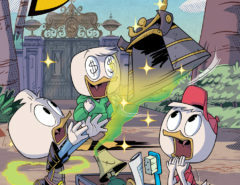 Donald is not having any of this and plays a trick on them. Good for the nephews there is a witch on the loose who has something to proof.